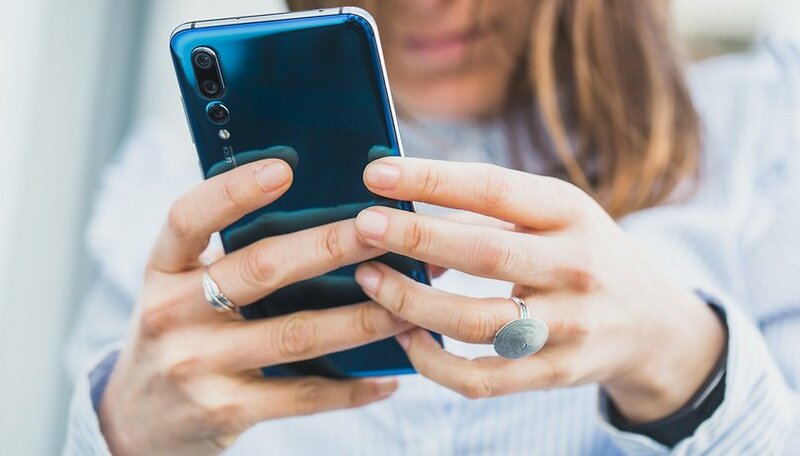 With its release of the P20 Pro, Huawei has its eye on the competition, and in particular the current top-range market leader: the Samsung Galaxy S9+. Both smartphones belong in the absolute upper class, but emphasize somewhat different aspects. We’ll go through the similarities and differences in this comprehensive comparison. Hauwei decided to forgo presenting a new device at MWC 2018 in Barcelona and let Samsung celebrate its Galaxy S9+ without much competition. The P20 was released a little later at an elegant event in Paris. There were about six weeks that passed between the two devices’ market launches, which gave Samsung a head start in terms of sales figures. But how do the two devices stack up against one another? Appearances are of course always a matter of taste, and both smartphones are available in new colors that Huawei and Samsung have never offered before. But with the shimmering Twilight or the bright Midnight Blue and the shiny panel, the Huawei P20 Pro stands out from the crowd. You could say that their design is more extroverted than Samsung’s. The Galaxy S9+ looks simple and elegant, but it’s also very familiar, since the design was almost completely adapted from the S8. The radical upheaval that Huawei made this year is likely to come to Samsung in 2019 with the Galaxy S10. Speaking of upheavals, if you don’t like a notch in the display, you’ll be happy not to find one with Samsung. The Galaxy S9+ also has higher resolution and a slightly better panel to offer. Huawei leaves it at Full HD+ instead of 2K, but does offer an OLED display in the P20 Pro. It’s worth looking into this, since the visual impression of a display is always also a question of personal taste. Both smartphones allow you to adjust the screen in terms of color temperature and display. Galaxy S9 and S9+ display review: Is it really the best? The Huawei P20 Pro is more up-to-date with its software, as it comes directly with Android 8.1.0 Oreo. Samsung is a little behind, but also offers Android Oreo. Both manufacturer’s add-ons are well adapted, but Samsung’s interface looks more mature, modern and versatile. Both the Galaxy S9+ and the Huawei P20 Pro can be used as a near replacement for a PC when connected to a large monitor with the appropriate accessories. With Huawei, an HDMI cable is enough; Samsung requires its own dock, but it does come with active cooling and more interfaces. The biggest differences apart from the software are in the main camera. At its core, Samsung’s camera is similar to the Galaxy Note 8 with a dual-zoom lens, which gives the Galaxy S9+ a changeable aperture to produce better photos in bad lighting. Together with Leica, Huawei has developed a triple camera with fivefold zoom that captures images at up to 40 megapixels. There’s a night mode that delivers spectacular images and numerous AI-supported functions give Huawei an advantage over Samsung on paper. Our blind test showed what AndroidPIT readers thought about the photo comparison. Even if Samsung is behind in terms of its zooming capabilities, the Galaxy S9+ places a greater emphasis on pure performance. Samsung’s device runs with the Exynos 9810, which is one step ahead of the P20 Pro’s Hisilicon Kirin 970 in terms of computing and graphics performance. Gamers will be especially happy about this, especially since the P20 Pro starts to overheat over long gaming sessions. The Galaxy S9+, on the other hand, always keeps its cool and the everyday performance is flawless. Huawei has 128 GB of non-expandable memory; Samsung offers an expensive optional 256 GB of memory and a microSD slot. The bottom line is that you can’t go wrong when choosing between these top smartphones. Both look very good, are well-built, run smoothly and take great photos. In the end, however, the Huawei P20 Pro is a tiny bit ahead: the battery is much stronger, the camera is more versatile, it has a more up-to-date version of Android, a more modern design, and it’s available at a lower price. But now let’s hear from you! Which device is your favorite? Choose “Huawei P20 Pro” or “Samsung Galaxy S9+”. It’s been a long time since a phone of the Huawei P20 Pro’s quality came along to upset the Apple-Samsung duopoly I’ve all gotten used to. Having experienced its amazing triple lens camera, shimmering design and heavyweight performance for a fortnight now, I’m convinced it’s the best new phone of the year so far. When so many handsets offer pretty much the same thing right now, the P20 Pro deserves credit for doing a little bit more for less of your money. It’s the first Huawei handset to offer quality through and through. Sure, some software-related rough edges remain but they’re tolerable at worst and totally eradicable if you have the know-how. Striking just the right balance between borrowed inspiration and genuine innovation, the Huawei P20 Pro is a telephonic and low light king when it come to the camera. My friends who have Galaxy Samsung S9+ and Apple Iphone X where amazed by my superior P20 Pro camera in telephonic and low light. I like P20 pro, I like it very much, even more than S9 +. I have seen many photos made with P20 pro and really has the best objective. We do not really talk about a objective, a single objective, because there are actually three objectives ! The score indicated by DxOMark is on the table and the price is even lower than the other "players" in the Supreme League. Bravo Huawei ! Having had a Samsung S6+ and a Mate 10 Pro there is no way I'd ever go back to Samsung. Bloated with software I don't use and can't run 2 days on a charge (which the Mate does with ease). The Huawei is far and away more in tune with my needs as a phone user. The Fox and the Grapes is one of the Aesop's fables and is quite common. Not necessarily related to lack of money, but mainly due to the fear of the unkown or, sadly, to mere preconception. Pervious comments are all true. S9+ it's a real product, whereas the P20 pro is only a assemble product. I won't pay the same price for worse display, last gen processor just because they think the camera is the best(which definitely isn't). It appears to me the s9+ has more premium features. I won't purchase a phone without a headphone jack or micro s/d slot. Plus the Samsung is 5 times more accessible & handled by all carriers!